Improve cooperation of children with sensory disorders and autism in working with OTs, SLPs, PTs, and educators. Apply dozens of strategies from the four different multi- dimensional “toolkits” including sensorymotor, physiological, social-emotional, and classroom strategies. Sensory Processing Impairments (SPIs) constitute the bulk of symptoms of autism, ADHD, learning disabilities, anxiety disorders and other conditions presenting major challenges for teachers and parents. This course provides refreshing and creative answers for therapists who resolve sensory-motor issues (OT, SLP, PT) as well as educators. This unique training event details fifteen powerful intervention pathways to reduce sensory processing impairments, and includes numerous specific strategies beyond the range of interventions customarily offered as training for these professions. It also gives methods to help OTs, SLPs, and PTs enhance acceptance and understanding of sensory- based interventions by school administrators, educators, and parents. Dr. Taylor, a pioneer in the field of sensory processing, gives clear explanations and user-friendly wording to explain these pathways to caregivers and demonstrates some of the strategies within each. You will learn dramatic role-play demonstrations and many additional strategies for assisting these highly at-risk children, as well as the adults who care for and educate them. Especially designed for therapists in the fields of OT, SLP, and PT, this course will enhance your impact and effectiveness as you work with children who have sensory processing issues. Educators, mental health professionals and other involved adults will also gain a new level of understanding and effectiveness in resolving sensory processing impairments. Integrate academic, psycho-social, sensory-motor, and physiological interventions to improve social skills and academic performance in children with sensory processing impairments. Describe the four major types of sensory processing impairments and give examples of each. Describe teacher-friendly classroom techniques to reduce sensory processing impairments. Explain how to reduce sensory seeking, avoiding, under- responding, and motor problems. Describe interview methods to boost children’s cooperation with therapists and educators as participants in their own treatment. Apply interview methods to overcome denial and resistance from parents and caregivers. Stop sensory overload among students with autism, ADHD and other sensory-based impairments. 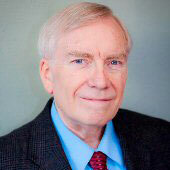 John F. Taylor, Ph.D., is a clinical specialist and a nationally-known author and speaker. Dr. Taylor has treated hundreds of children, adolescents and adults symptomatic of Sensory Processing Disorder occurring in most individuals with ADHD and on the autism spectrum. He is a strong advocate of a multi-dimensional approach to treatment, incorporating principles from behavioral health along with sensory-motor interventions and addressing brain physiological processes. 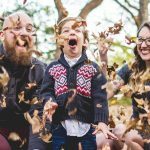 The father of four children with these symptoms, Dr. Taylor has produced 30 major works in this field including landmark publications such as Learn to Have Fun with Your Senses and The Survival Guide for Kids with ADD or ADHD. Listed in Who’s Who Among Service Professionals, Who’s Who in the West, and The International Who’s Who of Professionals, Dr. Taylor has been a guest on nationally broadcast shows, a featured columnist and a producer of landmark video and audio learning tools to assist these children and teens, including The School Success Tool Kit and The ADD Student at School. An innovator in the field of diagnosis, he is a consultant and writer for Wechsler and other intelligence scales, the co-developer of the Taylor-Graham Simplified Version of the MMPI and the developer of the Taylor Hyperactivity Screening Checklist. Dr. Taylor has been a psychology instructor at UT-Chattanooga and has presented to clinicians, therapists, teachers and parents nationwide. He earned his Ph.D. and MA in psychology from Kent State University. FINANCIAL: John Taylor is compensated by Summit as an instructor. He has produced many books, booklets, and audio and video CDs and DVDs, many of which are available for purchase. NON-FINANCIAL: John Taylor is the father of four children with ADHD and/or ADD symptoms.